Active Vibration Isolation Optical Table -Vibration Isolation Optical Table, Self-Leveling Optical Table, Active Vibration Isolation Optical Table, Anti Vibration Optical Table, Self-Leveling Active Vibration Optical Table, Pneumatic Optical Table, Active Pneumatic Isolation Optical Table, Optic [1SOT4000x1500] - - It's Free! This series Optical Tables are offered in a variety of lengths and widths from 3000 mm x 1000 mm to 3500 mm x 1500 mm. 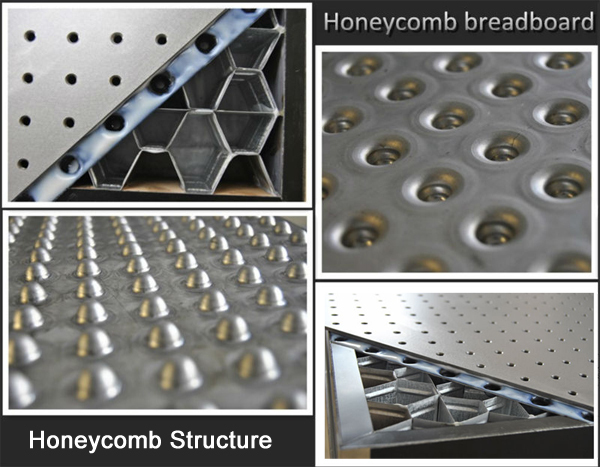 They feature all-steel construction, excellent thermal stability, and broadband damping optimized for each breadboard size. The 6 mm thick stainless steel top and bottom skins have a precision-machined matte finish with surface flatness of 0.05 mm over any 1 m2 area. The Optical Table has sealed M6 mounting holes on 100 mm centers with a 50 mm border at the edge of the breadboard. 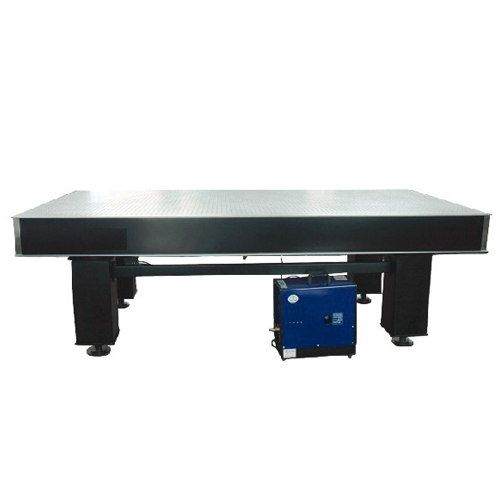 This active vibration isolation optical table supports contain an isolation system that effectively isolates the optical table from vertical and horizontal vibrations. The vertical vibrations are isolated from the optical table by a pneumatic isolation system that requires a constant source of an air compressor. The horizontal vibrations are isolated from the optical table by mounting the vertical isolation system on a trifilar suspension system. Each optical table support is also equipped with a 3-way valve. The valve regulates the pressure in the pneumatic isolation system to control the height of the optical table. 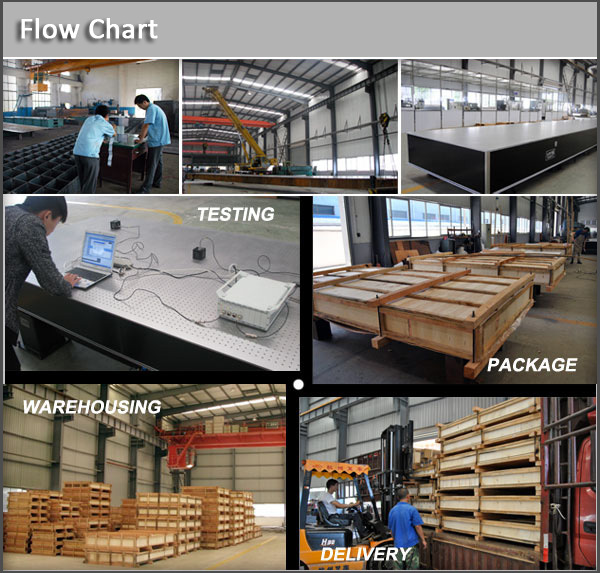 If the table is displaced vertically, the 3-way valve will allow the pressure in the air reservoir to increase or decrease, as necessary, so that the table is returned to its original height.